Town and Country Square is a 65,124 square foot neighborhood shopping center anchored by a 37,886 Publix Supermarket. The site is on a hill offering excellent visibility to both roadways. 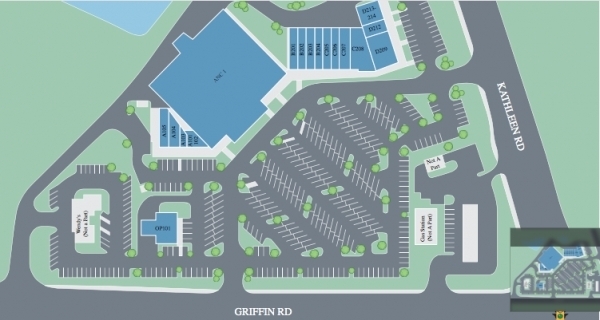 It is located on the southeast quadrant of Kathleen Road and Griffin Road in north Lakeland. There is an established residential base in the area and the neighborhood is stabilized by the large amount of traffic along the various prominent roadways such as U.S. Highway 98 and I-4. The property is well positioned to take advantage of the stable economic base and vehicular traffic generated by Kathleen and Griffin Roads.